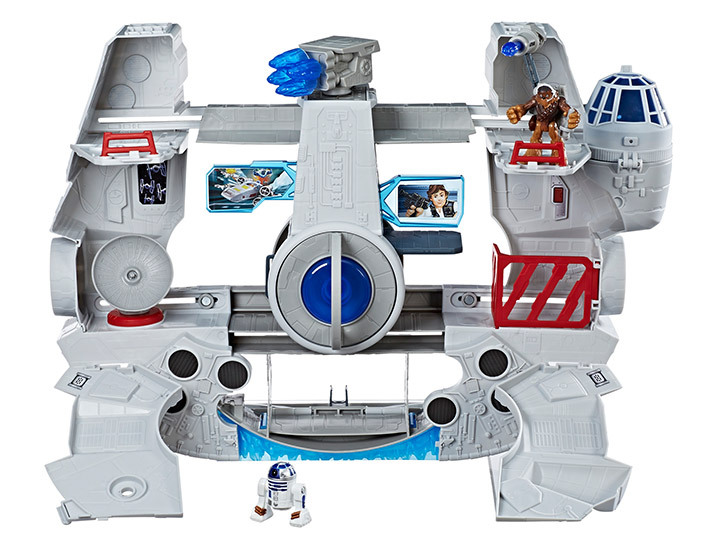 The Millennium Falcon has flown countless missions for the Rebellion, and now it is ready to take the battle against the evil Empire to the next level! 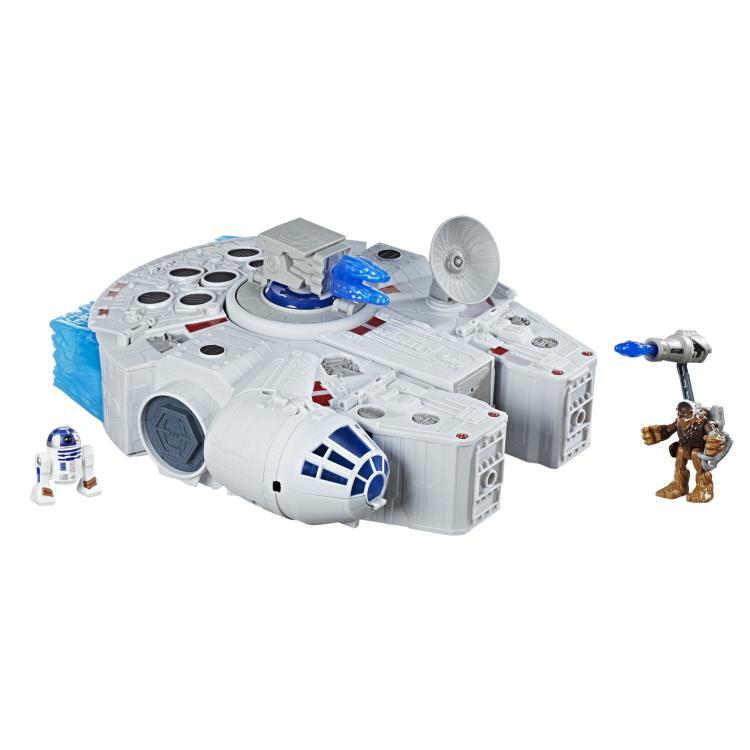 Sized right for young Jedi, these figures and vehicles get an intergalactic boost with the Galactic Heroes power up arms that snap on and off. 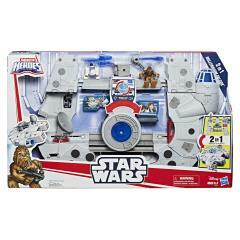 Gear up the Chewbacca figure with his blaster cannon and imagine heading into battle alongside R2-D2. 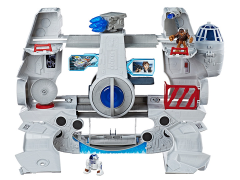 Kids can open the Millennium Falcon to reveal a command center complete with sound effects, light-up screens, Star Wars dialogue, repositionable cockpit seat and radar dish, projectile launching cannon, and secret escape route! In vehicle mode, power up the Millennium Falcon to fire an additional projectile by placing the powered-up Chewbacca figure inside the cockpit!